It is been a great car for me, but do your research first! The car has held up really well over the 13 years I have owned it. There have been few major problems, though in truth I do not drive much so it does not have a lot of miles on it. I am upset with Kia for refusing all these years to acknowledge that engine issues with this particular make model and year. As a result I spend a few sleepless nights wondering if tomorrow is the day the engine self destructs. 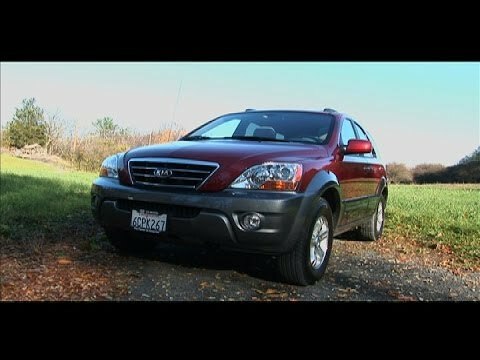 I would not recommend anyone buying a Kia Sorento because of the engine issues. Later versions of this car with the "improved" engine has issues as well. I have been lucky and I drive very little, but if you are not like me get yourself something more reliable from a car maker who does not lie to the people who purchase their product. Nothing but trouble from day one. Owning a Kia has been a headache for the past year. I bought it from the original owen's father and right off the bat I had to call a tow truck to get it started after it conked out on me. Turns out that the alternator was bad. But that was just the beginning of my troubles with this vehicle. Next it was overheating and that was supposedly fixed by changing out the coolant tank along with the pressure cap for the tank. That didn't end up being the problem. So next we are going to try changing the thermostat. I hope that will resolve the problem. If not, I guess it will be back to the drawing board. Durability. I feel very secure knowing it will stand up to all I put it through. I love my Kia Sorento. Its comfortable even on long road trips. I make an approximately 400 mile trip every month and a 2500 mile trip twice a year. My Kia makes the trip safely every time! I am arthritic in my neck, back and knees. I wouldn't be able to take these road trips in another car. I'd have too much pain. The way I sit in my Kia Sorento ensures I am not in agony at the end of my journey. I have named my car zander. I sometimes travel with my daughter, son in law and grandson. Zander has taken us on many adventures. When it is time for a new car, I will be shopping Kia first!